Hey guys. I ever thought I'd get nominated to do an award or tag. 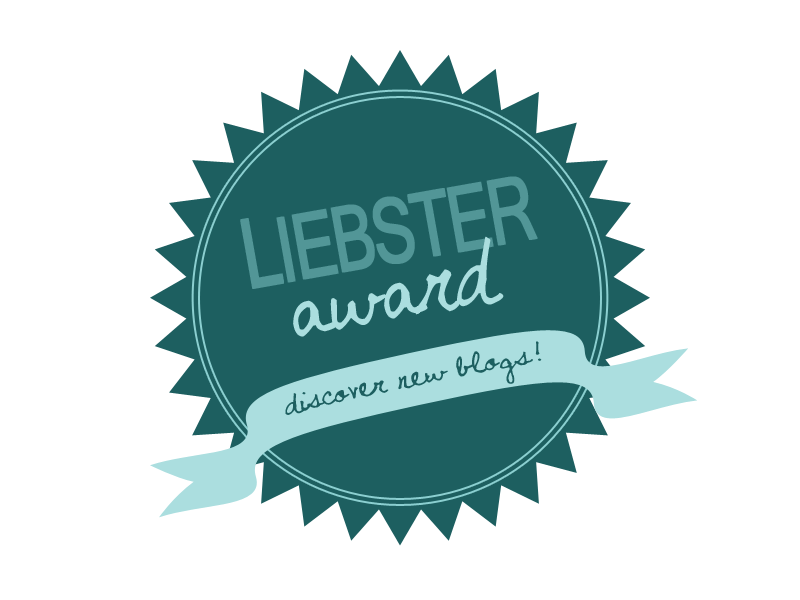 I was very surprised when yesterday I got nominated for the Liebster Award. I have researched abit about the 'award' and it does suggest a few different strategies so I am just going to pick the one I have saw the most. Thank you to Adele from All Things Adele. Everyone should go give her loves,follow her and check out her answers for her set of questions because she puts so much effort into her posts.<3. I can't believe how similar we are through our answers. I think this is such a good idea for new bloggers. I watched loads of YouTube video's about makeup and a lot of tutorials, as I watched more and my subscription list got to nearly 250 channels. (Only about 50 of them were not beauty or fashion) I became more familiar with makeup and found myself wanting to start YouTube videos myself. But I wasn't brave enough, so I kept putting it off and then stumbled across blogspot. I fell in love with reading peoples blog and made my own one day. Now I love it and wouldn't change it for the world. I love the community of bloggers. They are all so nice and genuine. But my favorite thing is probably the feeling you get when someone comments on your post saying thank you for helping, or just a comment. It's reassurance people read your blog and like your contents. 3. Sweet food or savory food? Good question :), I have to be in the mood for chocolate or sweets. So I think I'd pick savory. Give me a pack of sour cream and onion party mix crisps any day. Hahaha. I am a (not so) secret Hunger Games and Harry Potter Fan :) But I think my absolute favorite film has to be ANY teenage romances. I just think they're so cute to watch - Hahaha. In my spare time I do BSL. (British Sign Language) And I have my Level 1 qualification in BSL. I volunteer at a group who sign songs and raise money for the deaf community. 6. Where would you go if you could travel anywhere in the world? I used to go abroad every year when I was little but now I have younger siblings we don't go abroad. They don't like the heat, If I went abroad I would love to go America. The first ever stop would be to Sephora just to experience it in person. Then I'd buy a McDonald's because apparently the meals are bigger than England's? Who knows. 9. What's your favorite type of restaurant? 10. Are you a cosy night in or party all night type of person? Meg from A Day in the Life of a Teenage Girl. 1.What's your number one played song on your phone/ipod/computer? 2. If you could throw any type of party, what would it be like and what would it be for? 3. What would you name your autobiography? 6. What vision do you have for your blog in the future? 7. How do you get ready/prepare to write a blog post? 8. Who was your inspiration to start blogging? 9. How open are you about your blog, do you tell people alot or are you more secretive? 10. What is the first feature you look at in someone? None of you have to do it but I love all your blogs and thought it would be nice to nominate you all <3 Good luck. Christmas Question Of The Day : What's your favorite Christmas Tradition?